Thomas O. Wells, J.D., LL.M. | Wells & Wells, P.A. Tom has worked with entrepreneurs and high net worth individuals in health care, real estate, construction, retail, fragrances and cosmetics, and a variety of other industries to protect and maximize their assets. 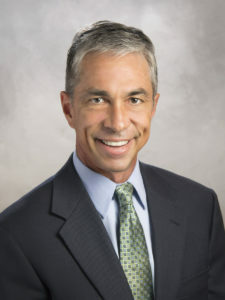 Tom holds an LL.M in Taxation, having graduated second in his class, is Board Certified in Tax Law by The Florida Bar, and is a Fellow of The American College of Trust and Estate Counsel. Prior to law school, Tom obtained his Certified Public Accountant license in South Carolina, is a member of the Florida Institute of Certified Public Accountants, and was named its CPA of the Year in Business and Industry in 1999. Tom writes often on tax, LLC and partnership issues. Tom is proud to have been named Top Dealmaker in 2007 in Real Estate – Retail/Entertainment by American Law Media’s for his role in his client’s sale of Dania Jai-Alai to Boyd Gaming.